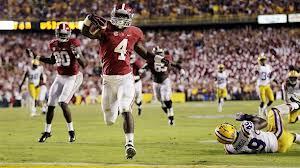 This is no doubt the biggest rivalry in college football, but it may just be the biggest rivalry in all of sports. The governor of Ohio made it a law that Ohio State fans should not use the letter M on game day of the rivalry. On the other hand, Michigan fans do not even call the Buckeyes by their school name. Wolverine fans, which I am, call Ohio State, Ohio. There is so much animosity between the two of these teams, it is insane. 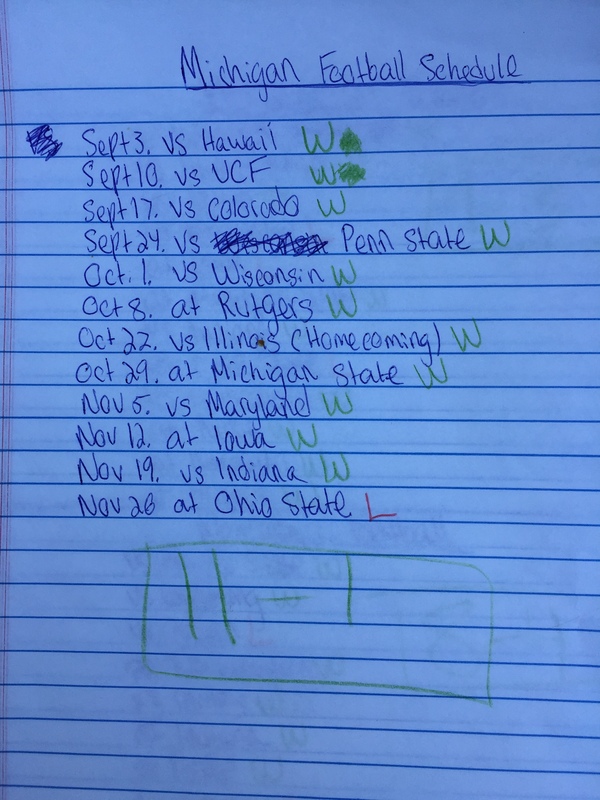 The Buckeyes have had an amazing season. They are ranked number 3 in the country and they still have yet to lose under head coach Urban Meyer. 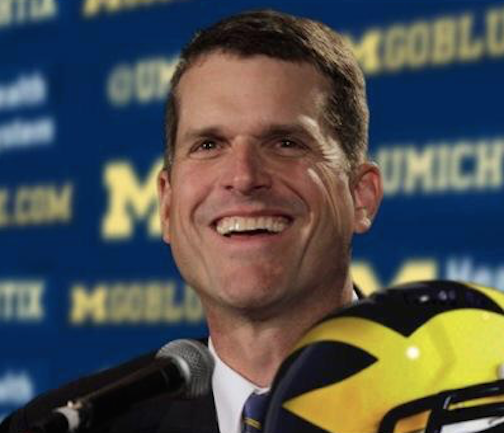 On the other hand Michigan has had one of the most disappointing seasons in college football. 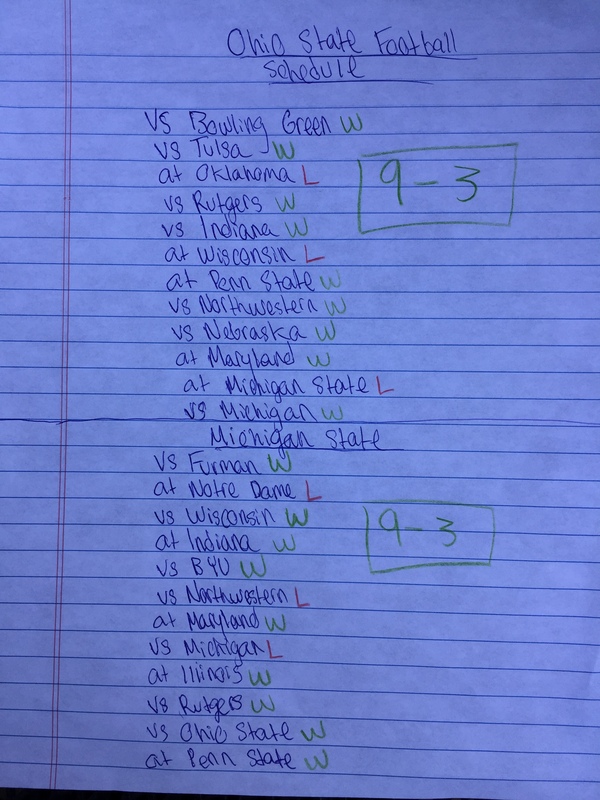 Going into the season, the Wolverines were highly ranked and actually favored to win the BIG Ten and beat Ohio State, two weeks in a row. Now they have four losses and have to go up against one of the best offenses in the nation. The History of this rivalry goes way back to Woody vs Bo Schembechler, the two greatest coaches in history. Ohio has a loosing record in the Big House and that might be a huge factor. 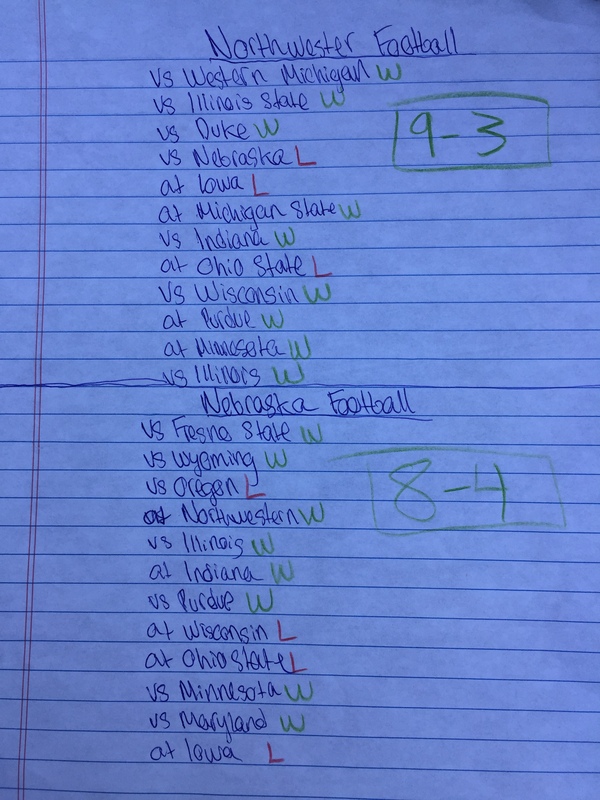 Going back, it has happened many times, when the Buckeyes are favored and have a chance to go to the national championship. 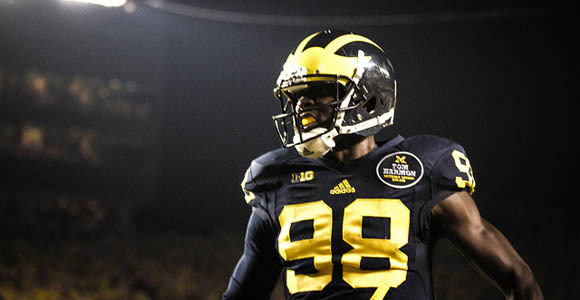 I think that this will happen again today, Devin Gardner will get in a groove and the Michigan Wolverines will spoil Ohio’s season. GO BLUE! 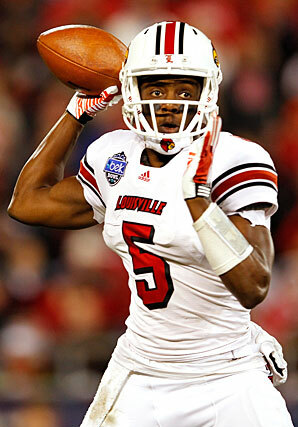 The Louisville Cardinals are coming of last year’s Sugar Bowl champion year, with a lot of confidence. They are returning a Heisman Trophy favorite quarterback Teddy Bridgewater and they have Charlie Strong a terrific coach. There is a lot of buzz going around this program and they have a very easy schedule. I believe that the Cards are going to have a undefeated season, now let’s just see if they live up to the hype. 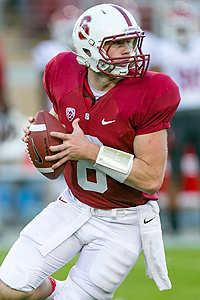 The Cardinals are always a contender, and with quarterback Kevin Hogan coming back they will be hard to stop. 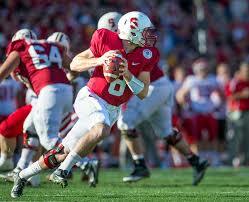 Winning the Rose Bowl was a big accomplishment for them last year, but this year they have even bigger expectations. This team is well coached and is balanced on both sides of the ball, the only problem is they have to compete with the high flying flashing Oregon Ducks. 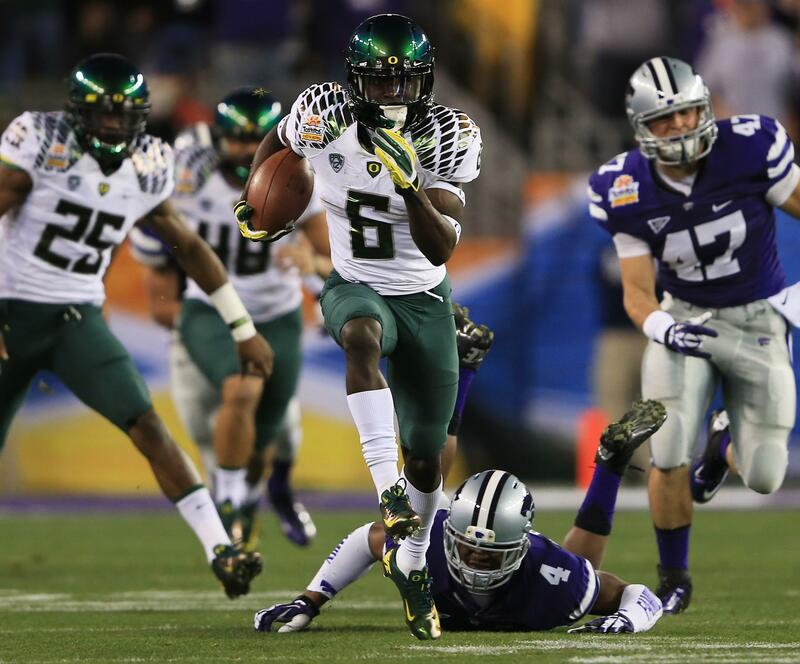 Stanford has a suffocating defense, but it is not enough to slow down the Ducks. The Wolverines are coming of a decent season, but this is Michigan and the expectations are huge. 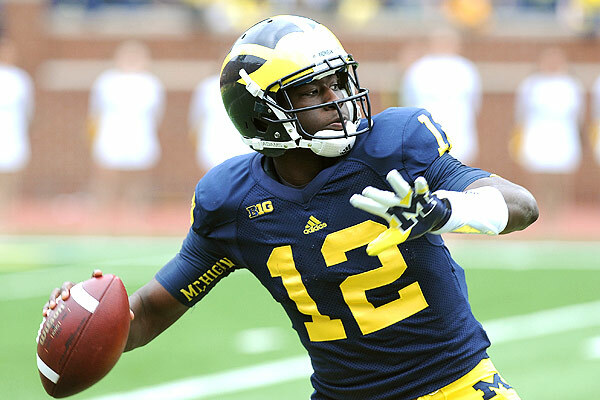 Now with Devin Gardner at QB they can finally run their offense. The Wolverines big three are quite good. They have the exact replica of Cam Newton in Devin Gardner, Fitzgerald Toussaint, and a deep threat receiver Jeremy Gallon. 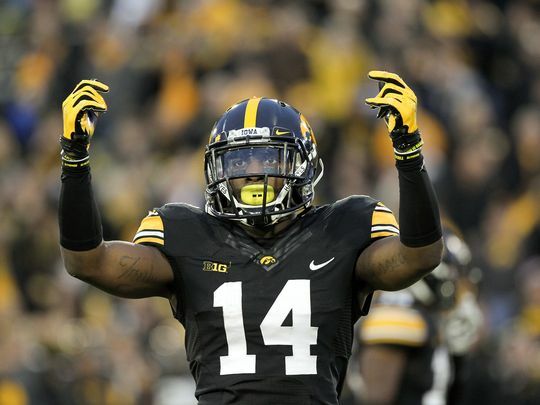 This team is solid, and they are my pick to win the B1G Ten. GO BLUE! The Tigers are a fast dangerous offense. 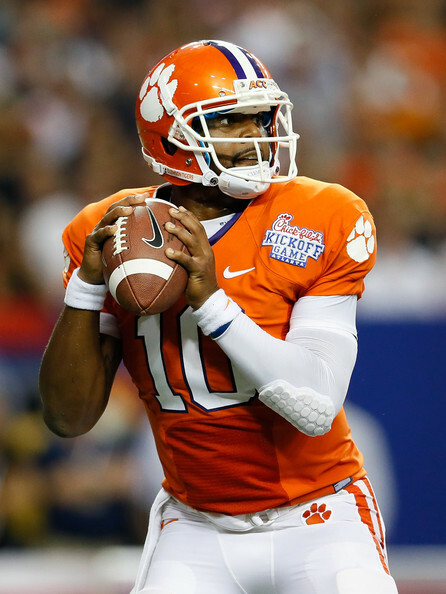 It is big that Tajh Boyd and Sammy Watkins are returning. This is a good team with a lot of talent coming back. 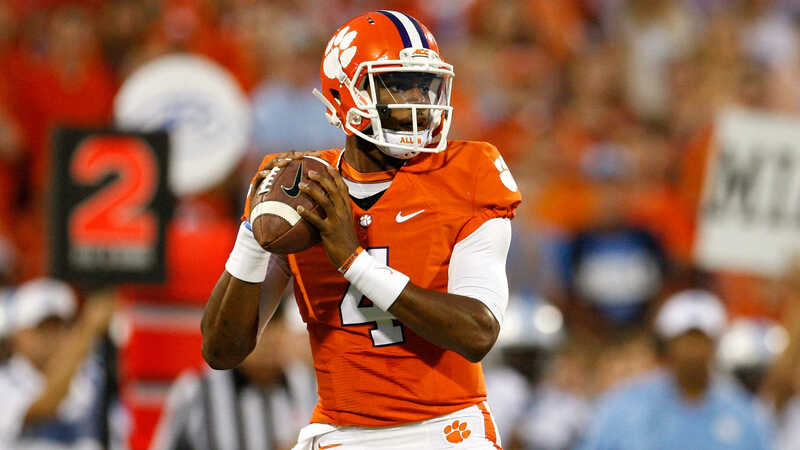 Look for Clemson to have a big year. Miami is now relieved of their punishments and it’s their time to shine. They have a cool and collect quarterback in Stephen Morris and they have a lethal running back in Duke Johnson. They went 7-5 last year, but they are looking to improve that. With the gunslinging mentality of Morris, and the explosiveness of Johnson, they are destined to have a great season. It looks like this year its all about the U. The Wildcats finally ended their Bowl Game win drought last year. 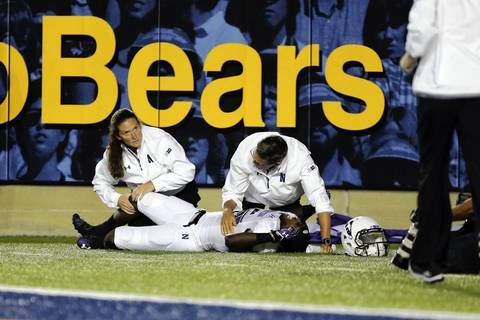 Pat Fitzgerald has truly turned this mess of a program around. Having duel threat quarterback Kain Colter and explosive returner/running back Venric Mark coming back for this year is great. This program is on the rise and they are the biggest thing to come in Evanston. 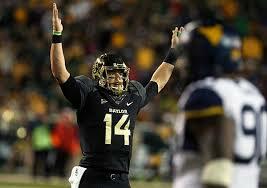 The days are counting down till college football arrives, although it is only summer I am already ecstatic. For the next couple days I will be counting down all of the top 25 preseason rankings starting at 1 and ending at 25. 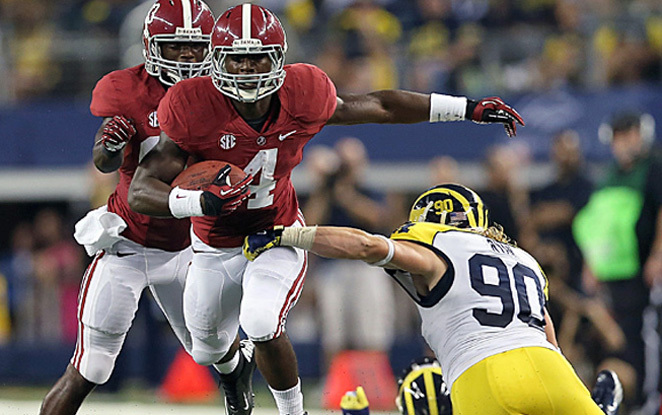 The Tide are the definition of a power house, winning the National Championship three out of the last four years. 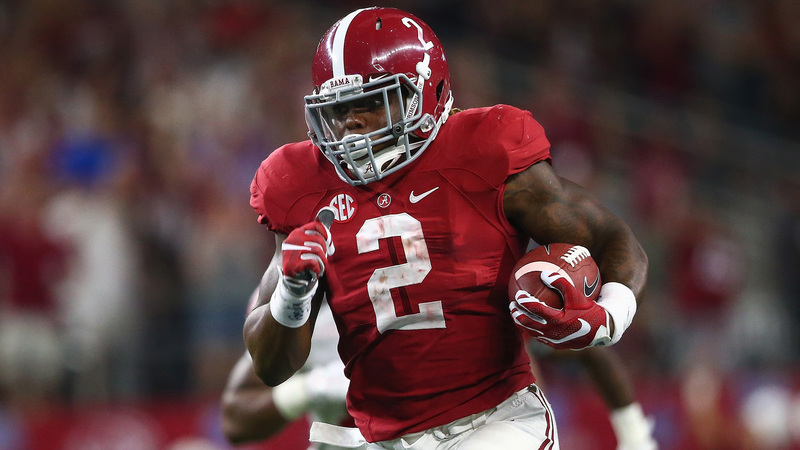 Returning is star senior quarterback A.J McCarron, powerful running back T.J Yeldon, and on the defensive side of the field the heart and soul of their nasty, defense linebacker C.J Mosley. 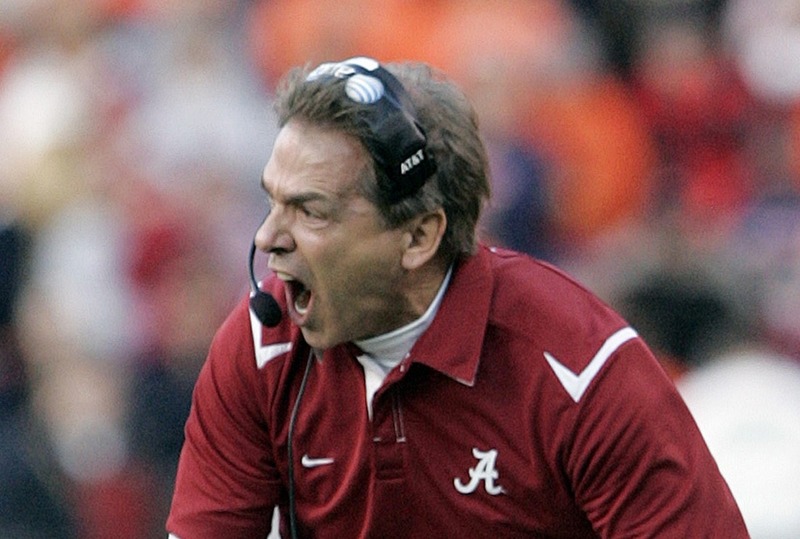 Having the best team and coach in college football, the Bama fans have been spoiled. This squad have been the leaders of the SEC’s reign of terror and they have a great chance of adding on to their legacy. The Ducks have recently lost their head coach Chip Kelly to the NFL, but that’s not going to slow them down one bit. 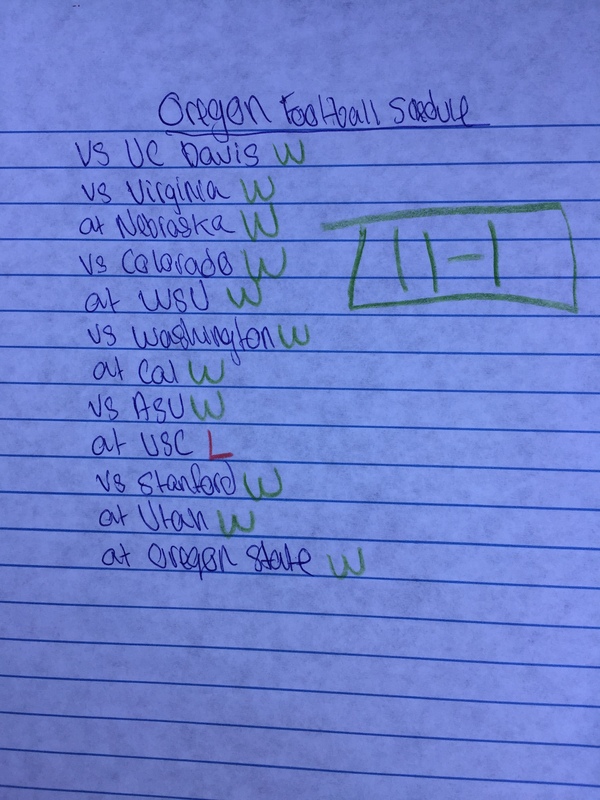 The last five years Oregon has really solidified themselves as a championship contender year after year. Their returning Heisman trophy favorite QB Marcus Mariota, deadly kick returner/running back De’Anthony Thomas also known as the Black Mamba, and hard hitting defensive back Ifo Ekpre-Olomu. 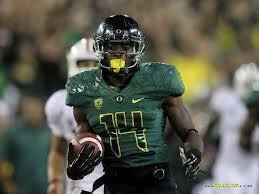 The Ducks are the fastest and best dressed team in college football, but they are also a force to recon with. 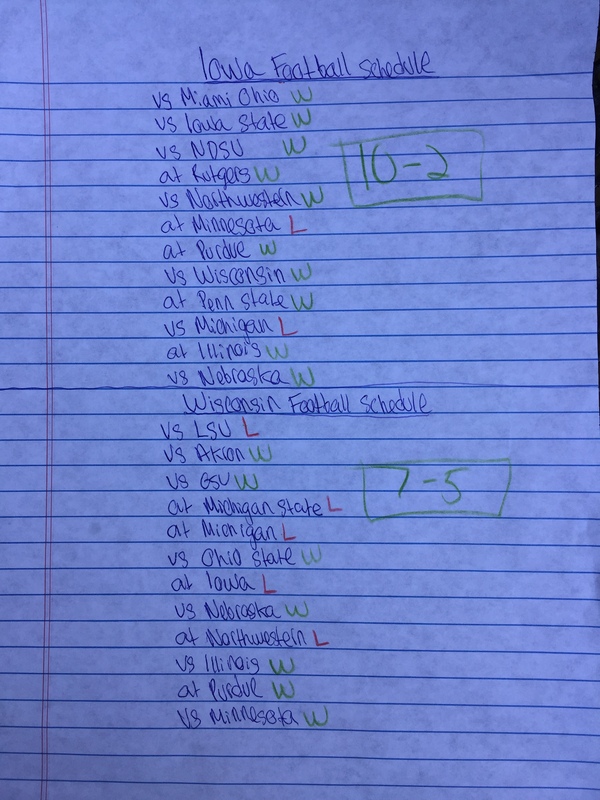 The Buckeyes went a perfect 12-0 last season, but because of NCAA allegations they couldn’t go to a bowl game or the National Championship. This year they have standout quarterback Braxton Miller returning. 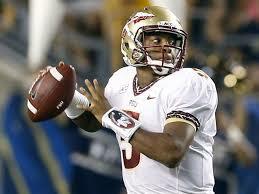 He is one of the Heisman trophy favorites and he has become more of a leader on this team. Adding Coach Urban Meyer last year was a great decision. The Buckeyes are looking to have a great season if they keep Miller healthy. He took way too many hits last year, which lead to a number of injuries. If Braxton Miller gets hurt you can just throw their season down the drain. The Aggies had a total bounce back season after the terrible one they had before. The main reason for this turnaround is last year’s Heisman trophy winner Johnny Manziel. They have a stingy defense and we know on offense Manziel can just explode for a touchdown. They can run with Alabama and Georgia and now are a new power house that has been added to the SEC. If Texas A&M can keep Johnny Football out of trouble they will have a phenomenal year. The Dawgs were one play away from the National Championship last year, but they just couldn’t finish. 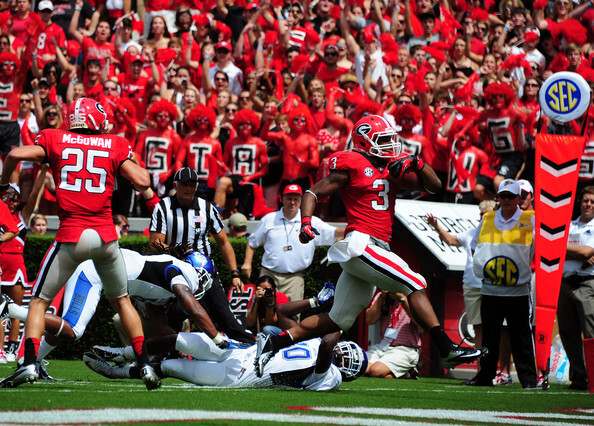 Key players returning this year are star quarterback Aaron Murray and running back Todd Gurley. They have a stellar defense and two of the best running backs in the game, Todd Gurley and Keith Marshall. They are a monster in the SEC and it looks like they will be next year too. Check back tomorrow for teams 6-11!